New Mission Oak Hall Seat with a cut out design in the side slat. This is a sturdy and stylish bench for use in a hallway, bedroom or entryway. 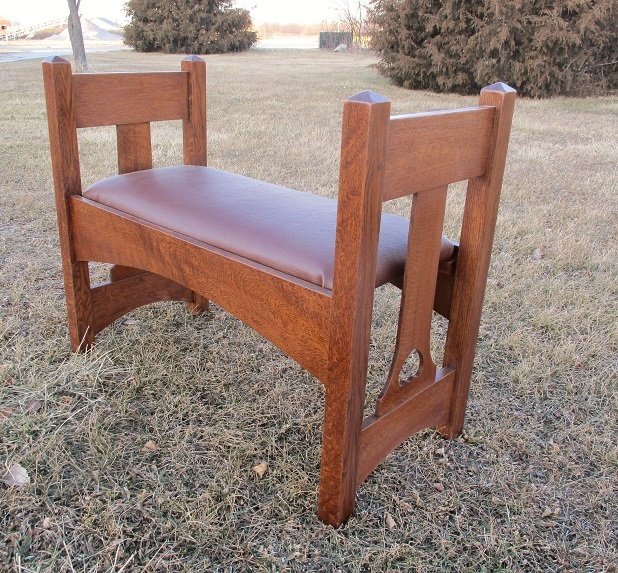 Made from quarter sawn white oak, the seat shown in this image is covered in brown naughahyde.